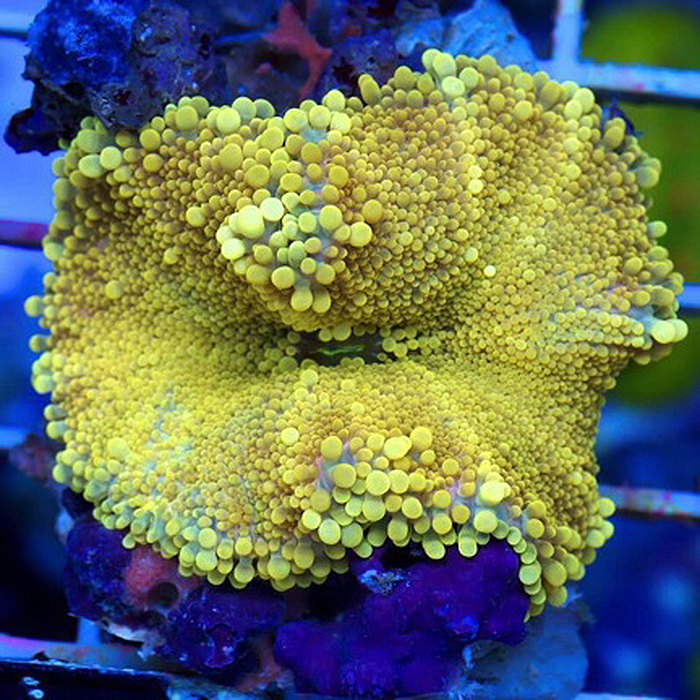 By Matthew Stansbery This just in: The most interesting and attractive specimens in this hobby are neither hard to find nor hard to keep! 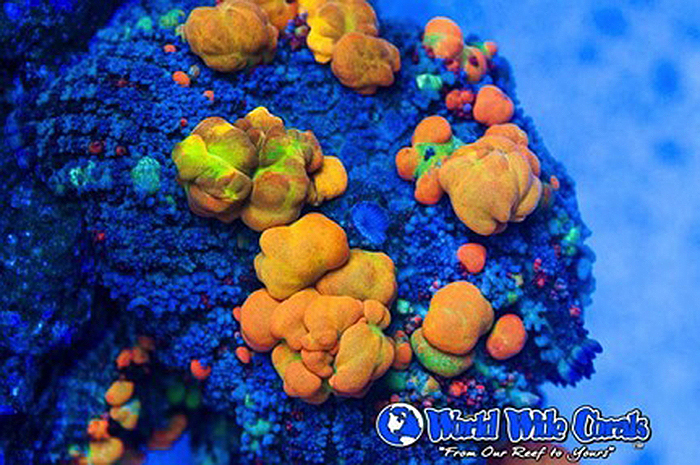 Often glanced over by seasoned aquarists, mushroom corals (or umbrella corals) are captivating to the eye as well as extremely easy to maintain. 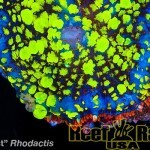 From the Caribbean to Fiji there are several different families to choose from, each offering a variety of sizes, shapes, and colors. 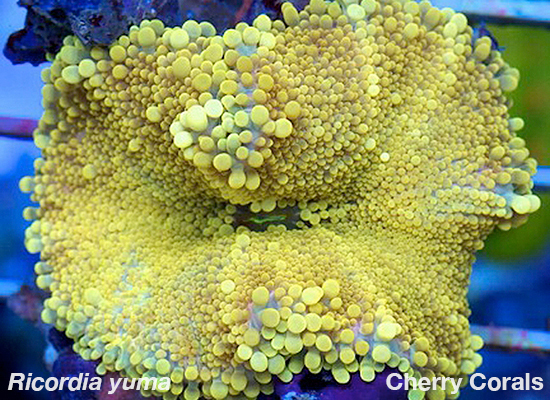 Scientific Note Mushroom corals are classified outside the traditional “coral” catalogue, instead falling under a separate order of soft coral called Corallimorpharia. 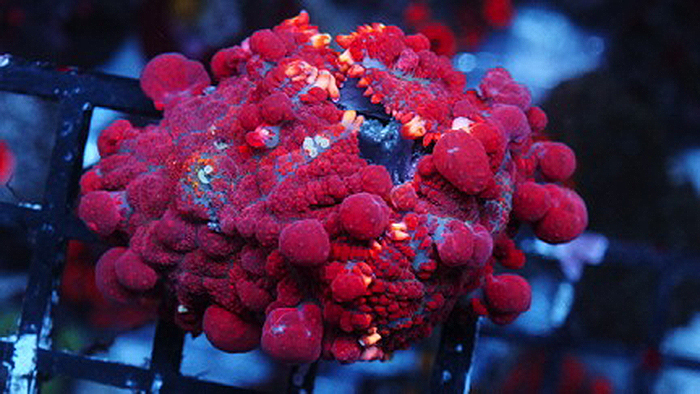 This category was created to distinguish them from other corals because mushroom corals are unique in that they share traits with both coral and anemone. 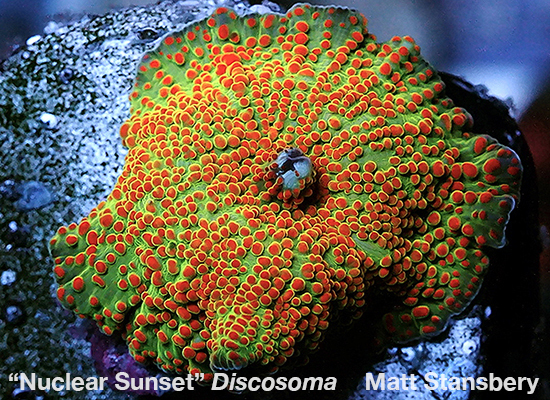 The “Nuclear Sunset” Discosoma. 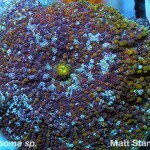 Photo by Matt Stansbery. 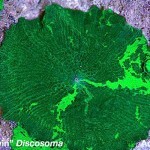 A rare Discosoma sp. 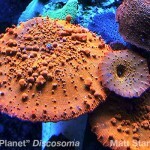 Photo by Matt Stansbery. 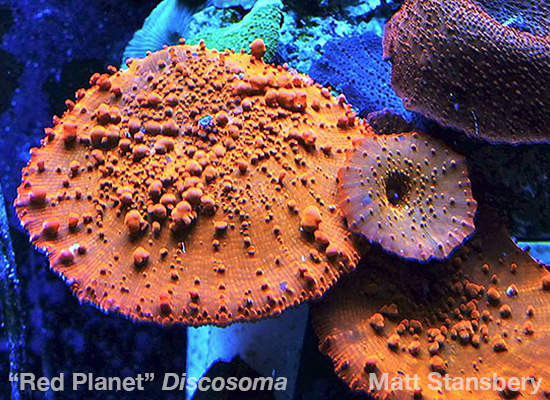 The “Red Planet” Discosoma. 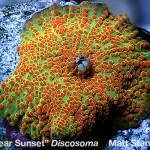 Photo by Matt Stansbery. 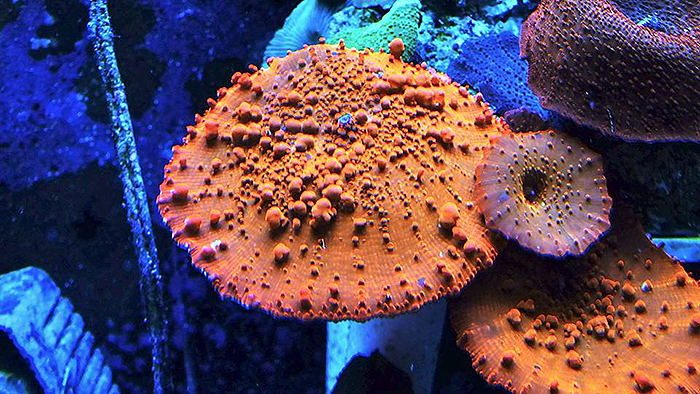 Caring for mushrooms is, by and large, very simple. 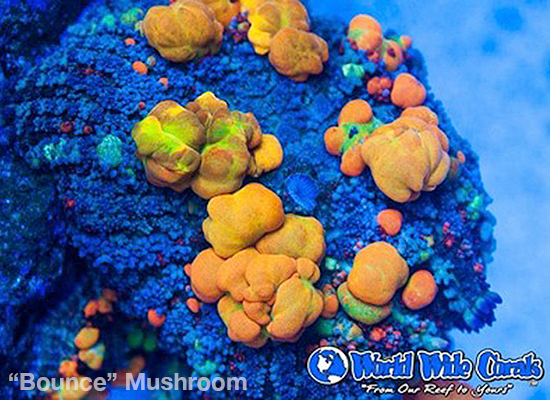 While most mushrooms can tolerate the presence of a varied collection of inhabitants and less than optimal parameters, certain conditions enable them to thrive rather than simply survive. 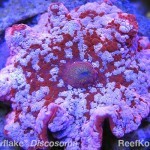 Mushrooms seem to do better in tanks with higher than normal levels of nutrients and lower levels of lighting and flow. 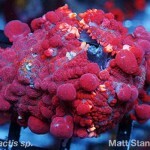 They are a “sit and forget” type of coral that live out their lives best when left undisturbed. 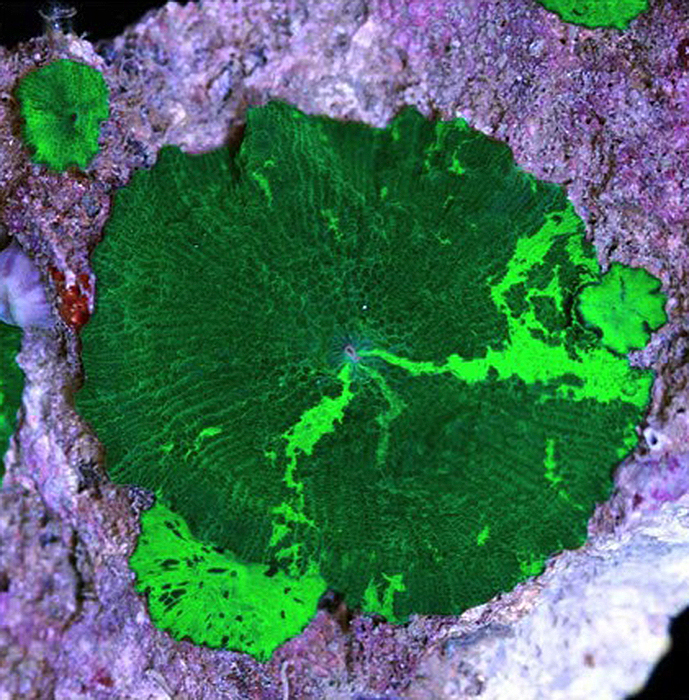 Interestingly enough, a lack of attention to these organisms will actually promote a natural “budding” of the mushroom through an asexual reproductive process called Pedal Laceration. 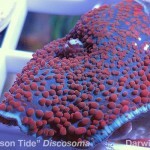 This is where the mushroom will slowly move along the substrate and leave behind cloned copies of itself. 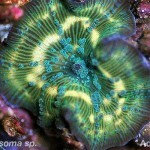 *Rule of Thumb: Corallimorphs with long tentacles on or around the oral disc can be aggressive towards other corals, so make sure to provide plenty of space when placing them in the aquarium. 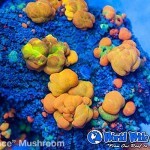 Super Morphs Some of the most beautiful mushroom corals ever collected are available quite readily to the average hobbyist wiling to shell out an extra couple bucks. 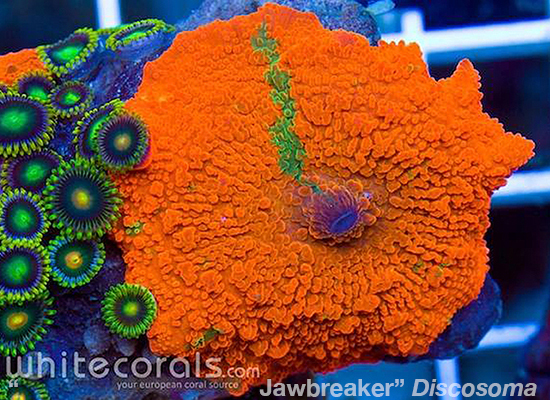 Names like “Jawbreaker” and “Bounce” have been attached to two of the hobbies most stunning specimens ever procured, and anything with the pseudonym “rainbow” is worth a second look. 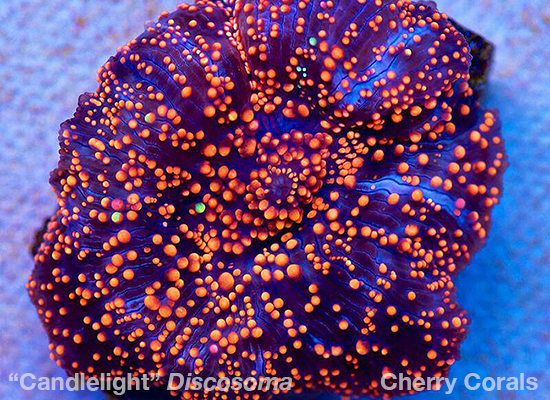 Collector morphs like these often fetch hefty price tags that reflect the exquisite complexities and iconic beauty of their respective morphologies. 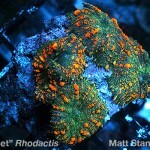 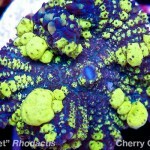 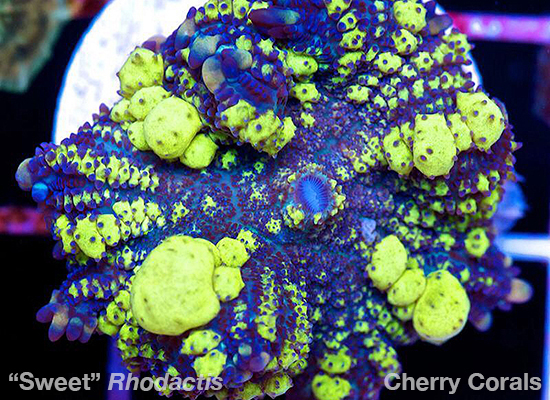 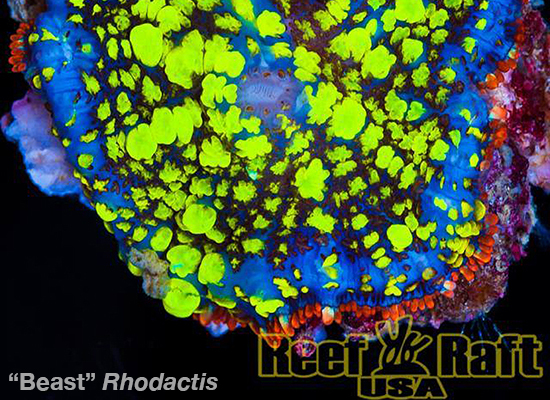 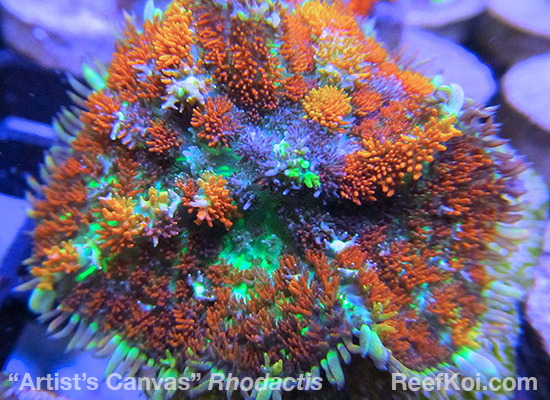 Let’s now take a look at some amazing examples of Actinodiscus,Rhodactis, and Ricordia. 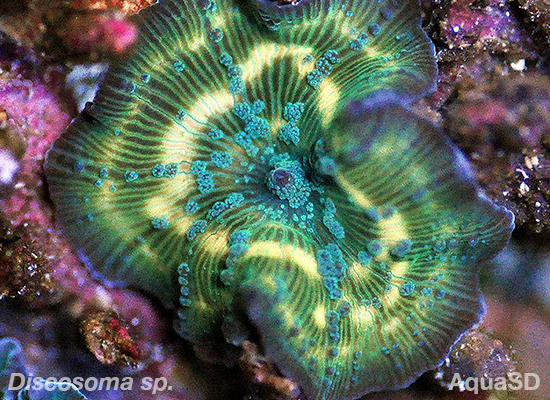 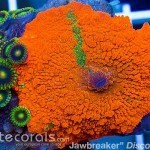 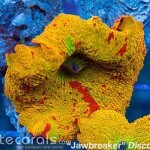 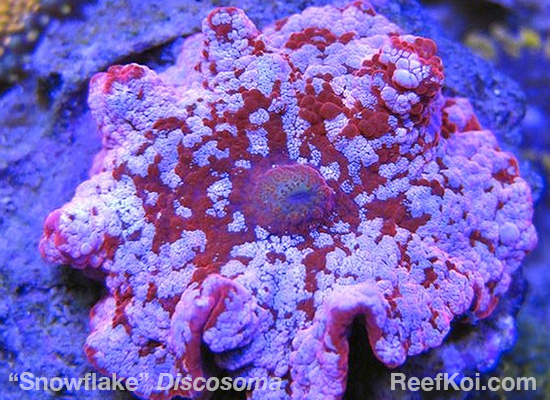 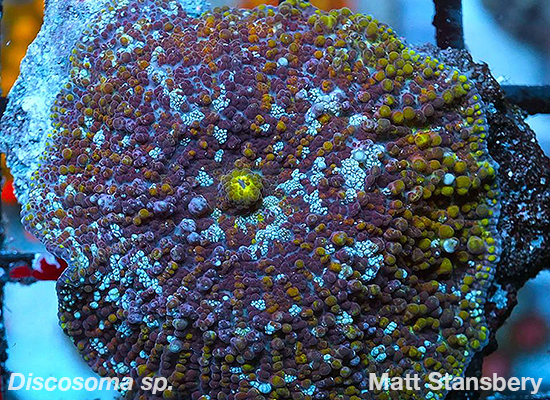 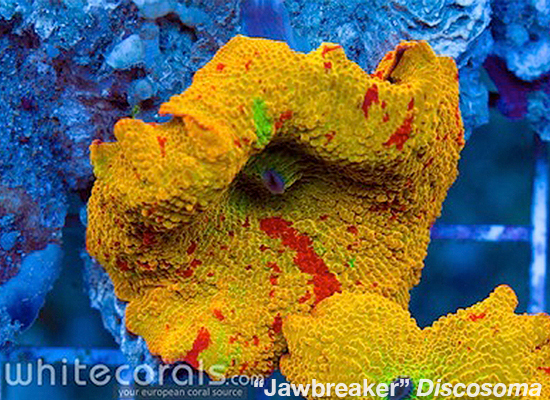 The infamous “Jawbreaker” Discosoma Mushroom, compliments of White Corals. 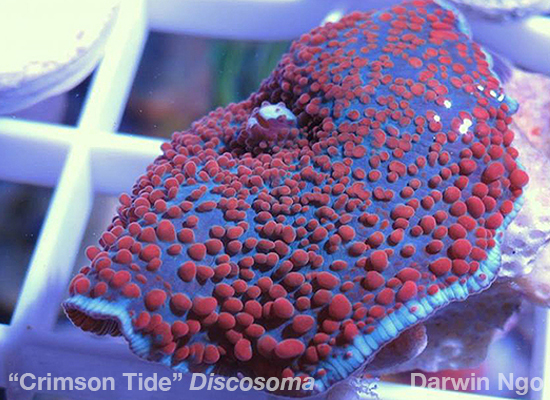 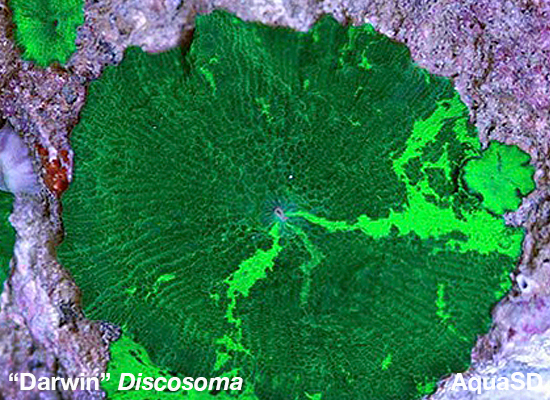 The “Darwin” Discosoma Mushroom, compliments of AquaSD. 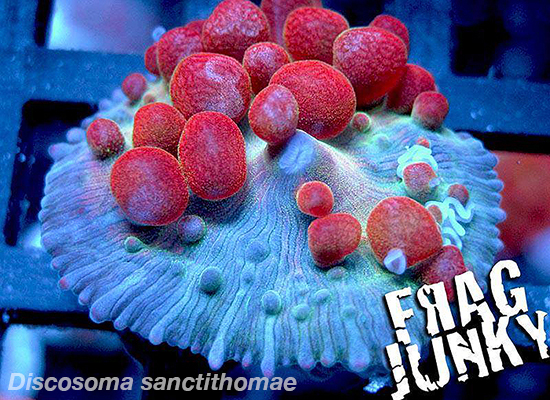 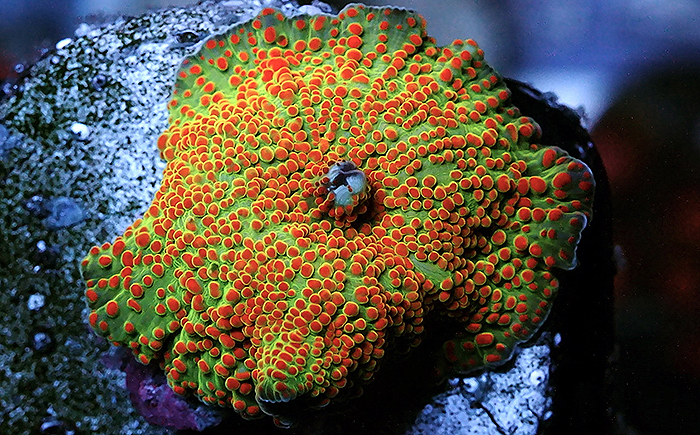 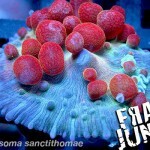 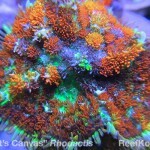 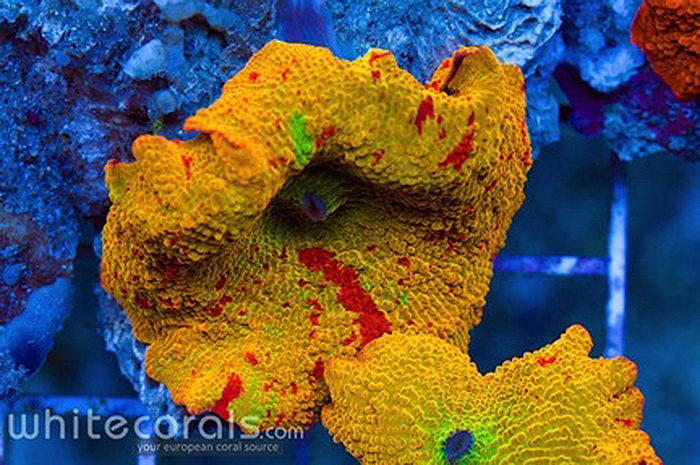 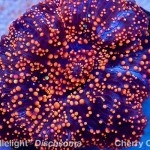 The notorious “Bounce” Mushroom, compliments of World Wide Corals. 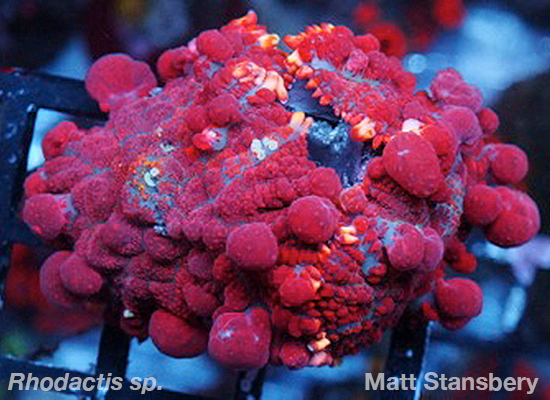 It’s identification is disputed, but it exhibits morphologies of Rhodactis. 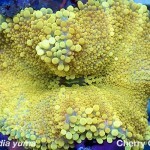 A perfectly yellow Ricordia yuma, compliments of Cherry Corals. 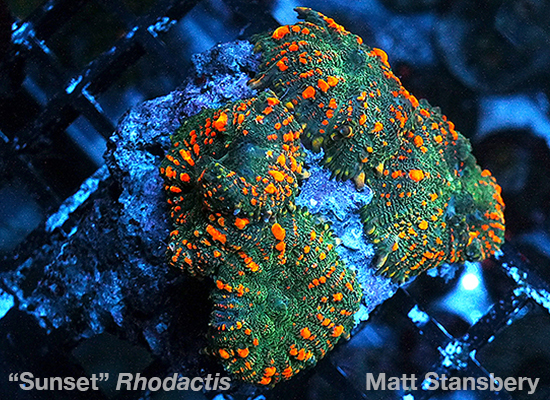 A stunning Rhodactis specimen, compliments of the author. 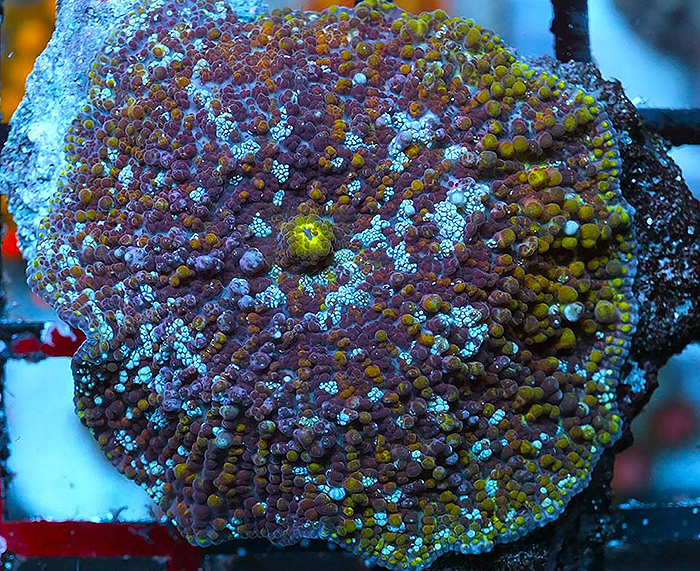 I want to thank AquaSD, White Corals, Cherry Corals, Reef Raft USA, Reefkoi Corals, and World Wide Corals for use of their amazing photos, as well as providing the everyday hobbyist with a chance to own a true collectors piece!